A photo doesn’t have to be blatantly macabre to be eerie. But it can have a mysterious, otherworldly vibe — the viewer wonders what lurks in the shadows. Something eerie has a story to tell — one you aren’t quite sure you want to know. Here’s my last contribution to the eerie Weekly Challenge. 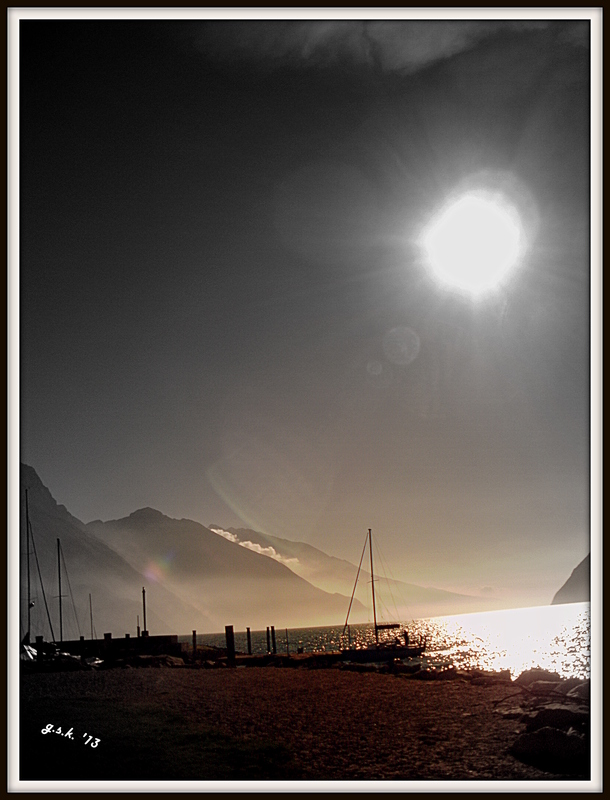 I took these photographs the other afternoon whilst walking along the beach of Lake Garda in Italy. 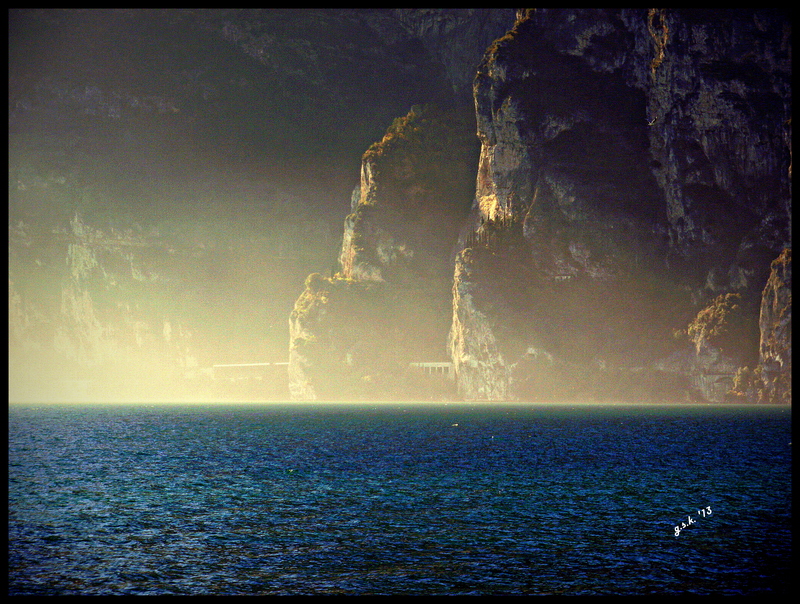 The day was an interesting combination of intense sunlight and mist…loved it! hope you enjoyed my last contribution…and while we’re waiting for the new challenge…have a look at some of the other week’s contributions! Weekly Photo Challenge: Eerie | Insanity at its best! EERIE – WPhotoC | Ouch!! My back hurts!! Weekly Photo Challenge: Eerie (Da Vinci’s visits his own exhibition?) | What’s (in) the picture? 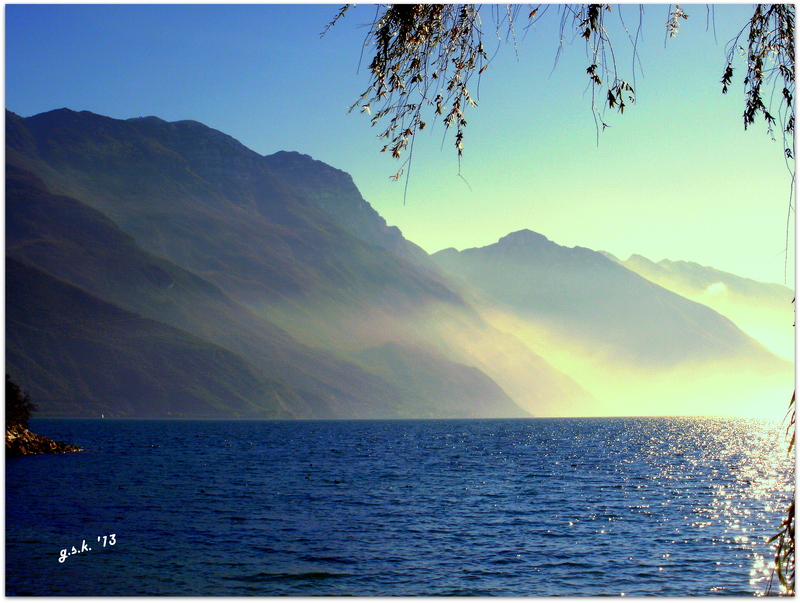 This entry was posted in WordPress Weekly Challenge and tagged Daily prompt, Eerie, Italy, Lake Garda, Landscape Photograpy, Riva del Garda (TN), weekly photo challenge. Bookmark the permalink. What a wonderful vista that you had for your walk. Great photos. Thank-you very much…I too liked the way the light played with the mist…the colors came out in such an extrordinary way…nature is fantastic! beautiful collection – mystical and eerie at the same time. thank you. Ah..Ra has spoken! Thanks for your lovely comment!